Tess and her sister Kristina are complete opposites. Tess is smart and quiet, and Kristina is sporty and popular, but both of them are okay with having their own place. But when Kristina is diagnosed with bone cancer, everything changes. Suddenly Tess is the center of attention, with everyone looking for updates, and senior boys are flirting with her. Home life changes too; her picture-perfect family is cracking, and it's up to Tess to hold the pieces together. 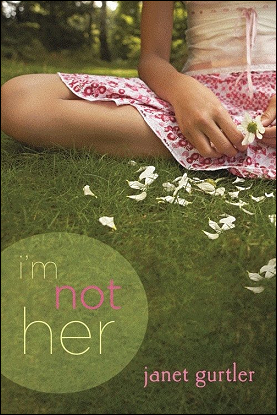 I'm Not Her is a powerful, emotional story dealing with a frequently-used topic - illness of a sibling - and, while not exactly putting an entirely fresh angle on it, Gurtler refrained from resorting to clichés. It's easy to empathize with Tess as she struggles with not just the relatively trivial issues of high school made complicated, but also with her possibly dying sister. She had always felt weaker than Kristina, but now she needs to be the strong one. Although a sad and moving story, there were parts that sometimes felt as if they bordered on soap opera-ish. One event in particular towards the end was contrived and did little to move the narrative along. Instead, it simply just seemed like too much to put upon the protagonists and distorted the pacing of the novel. All in all, I'm Not Her is a novel that could have been just a bit more original, but remained fresh enough to provide an honest, gritty account of a family member with cancer. 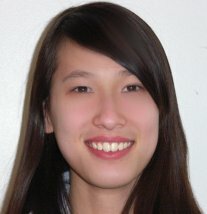 I'm Not Her is a story everyone can relate to, regardless of whether they've had similar experiences. Though a certain event felt somewhat over-dramatic and unnecessary, this book was still greatly enjoyable and touching. I give I'm Not Her 4 out of 5 stars.